Home Unlabelled COOLPAD NOTE 5 “THE REAL BEAST"
COOLPAD NOTE 5 “THE REAL BEAST"
The Coolpad launched its new Smartphone device – Coolpad Note 5 with a Slogan “THE BEAST AMONG THE BEST” given by Company. The Coolpad Note 5, as Coolpad called this device a BEAST, it really looks like a beast in budget segment as it comes with great looks – premium design & build and powerful features. Great Khali WWE star was also invited on the launch event of the device. 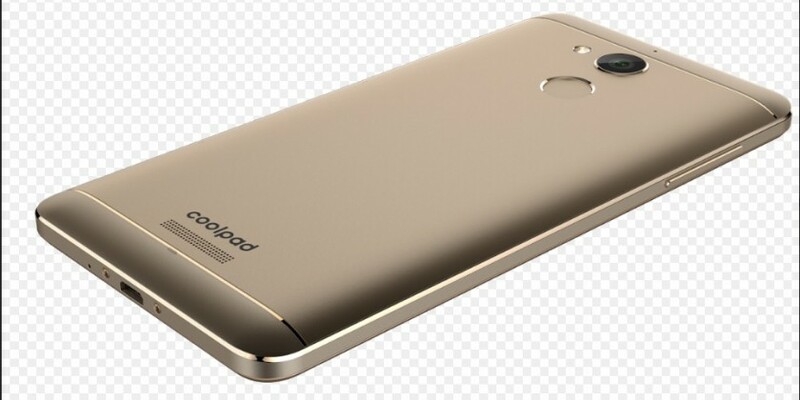 Coolpad Note 5 has a 5.5inches Full HD IPS display @ 1080p with 401ppi pixel density resolution. Screen of Coolpad Note 5 is fully laminated and secured with a scratch-resistant glass. This smartphone features a full metal body and rich matte finish, forges from aluminium alloy. It has 1.5Ghz - 64Bit Octa-Core Qualcomm Snapdragon 617 a powerful Chipset Processor. It is Dual Sim with Dual 4G standby device. Both Sim-slots supports 4G Network with Band 40 which is available in India. it also supports the latest 4G VoLTE feature for Fast Data Speed with Superior Voice Quality. This handset comes with a 4GB of RAM which is more than sufficient for flawless- smooth processing and faster surfing as well as hazel-free multitasking. Note 5 has 32GB of onboard storage on the device, it also has a Micro SD Card slot as memory expansion option, which support memory expansion via MicroSD card upto 64GB external memory. This handset runs on latest Android Operating System Marshmallow v6.0 with CoolUI v8.0 Coolpad's latest User Interface. 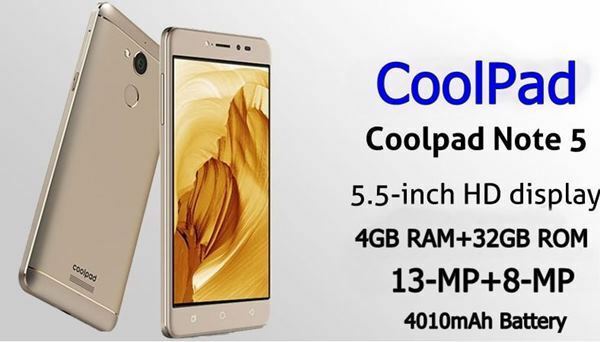 Coolpad Note 5 has a high resolution 13.0 Megapixel 5P Lens, Primary Camera with F/2.2 aperture speed with LED flash. According to the company, it is capable to capture good quality images and record video at high resolution. 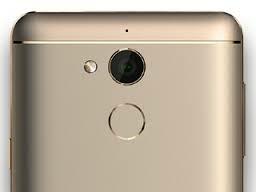 An 8.0 Megapixel Secondary camera is given on front side of the Smartphone which also comes with LED flash to take good quality Selfies even in the dark conditions or in the night. For Network and connectivity it has dual sim 2G/ 3G/ 4G LTE with VoLTE, Bluetooth v4.0, Wifi 802.11b/g/n, GPS – AGPS, FM, 3.5mm Audio Jack, and Micro USB port which has support for USB OTG and Fast Fingerprint Scanner. It doesn’t support NFC – Infrared. It has Accelerometer Sensor, Ambient Light Sensor, Proximity Sensor, Compass/ Magnetometer and Fingerprint sensor but it is not having Gyroscope sensor. Barometer Sensor and Temperature Sensor also not given in this smartphone. The smartphone packs a Non-removable powerful 4010mAh Battery to run this phone for a long time. It gives more than 8hrs. of talktime and 150+ hrs. standby time. Dimensions of the smartphone 152mm X 75.70mm X 8.85 and it weighs 173.40grams. Colors available in this smartphone are Royal Gold and Space Grey. It is released on 30th Sept., 2016 at Rs.10,999/-.